An estimate or take off of rebar is often time consuming and frustrating for many of our customers. We are one of only a few independent rebar fabricators to have in-house estimators ready to help. PJ's uses aSa Software, the leader in rebar estimating software as well as PlanSwift document rendering to quickly and accurately complete your estimates. Our fabrication turnaround is among the best in the industry, place an order or schedule your delivery. 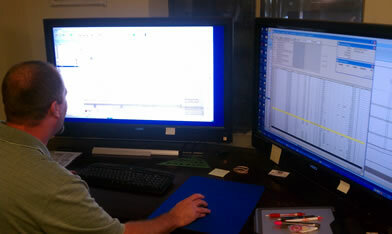 If you don't need an estimate and are ready for shop drawings, contact our Detailing Department to get started. vPJ's offers both Lump Sum and Unit Price estimates based on your bidding requirements. While the mill owned fabricators make you wait for weeks to get a bid, PJ's turns around estimates in as little as two days! Flexibility, speed, and accuracy are just a few of the many reasons to choose PJ's Rebar, Inc.